A mecha otaku is reincarnated into another world as Ernesti Echevalier (Eru). In this world there exist huge humanoid weapons known as Silhouette Knight. Dreaming of piloting those robots, Eru, with childhood friends, Archid Walter and Adeltrud Walter: together they will aim to become a Knight Runner, pilot of Silhoutte Knight. Very unique story where MC slowly makes robots of his dream. Anything related to robots will have his 100% undivided attention. The are reviews are good enough but I just want to inform you new readers something abt this series. The review from chojen is good but there are a few facts that he didnt really mentioned which makes his comparison a bit off and wrong. I will try explain in more details so chojen and bakadogeza, if u are reading this, no offense intended. Skythewood translations is actually a chinese... more>> to english translation. The translator doesnt know anything about japanese. Meaning its a double translation from japanese to chinese to english. In this context, There will definitely be mistranslated portions here and there. Another point to note is that since he is translating the chinese version, he needs to wait till the chinese novel is release so he is actually not dropping it. Just waiting for the new release so that he could translate it from there. Therefore, even when the japanese versions are already a few volumes further, if the chinese version is not released, our translator have no work till then. you could say that he is doing his best effort to give use quality work and he also doesnt mind if there is anyone continue his work. Since I have been following skythewood, I could not compare it with Bakadogeza objectively. A programmer and mecha otaku dies and is born again into a fantasy world. His memories of his old life return when he becomes age 3. The country he lives in borders a demon zone, and defends itself with magic-powered mechas. From the moment he becomes self-aware of his old life, MC's goal is to become a mecha pilot. Has a medieval fantasy setting, demon beasts (but not really at forefront, just isolated incidents), magic system (more like part of natural world rather than RPG system), mecha and other magic technology, reincarnation from birth to teenage years, school life arc when MC trains to be a mecha pilot, moderate amount of combat (with demon beasts and other mecha), some politics/factions. There is a harem and romance tag, but I haven't seen any of that, as of chapter 37 (girls dote over MC because he looks and sounds like a girl, not because of romantic feelings). MC is not OP, but other people are relatively unskilled. This is an interesting setting, the translation is good, and the imagery isn't bad. But there are a couple problems that I have, but other people may not: how programming relates to magic, and the believability of the MC's accomplishments. I'm not sure if the author is a programmer, or if it's the translation, but "scripts" controls magic in this new world. The author sometimes says they're "compiled, " but scripts usually do not need compilation, and are different from programs. It's also strange why everyone has to continually write scripts when it sounds like software is already installed on their magic devices. The author's description of how magic works in this world is a bit vague on what "scripting" looks like and how magicians interact with the system. The mechanism he describes also seems to be violated by the MC and companions, even though they don't have any special abilities. This issue may not be a big deal to most people, but to me, there should be a higher standard of consistency needed to suspend belief when trying to use a real-world activity or knowledge in a fantasy setting. The MC's accomplishments are related to his creativity with magic techniques and mecha engineering innovations. The problem is that many of MC's improvements are fairly ordinary changes, and the reactions of other people to them are so exaggerated (almost falling down, heavy breathing, loud exclamations). Mecha technology has existed in this world for many centuries, and it sounds like it takes 100-200 years to come up with a new mass produced mecha. The author explains all this by saying there's just a difference in "common sense" in this world. But, to me, it sounds like the people in this world are unimaginative or terrible soldiers and engineers. It makes me feel like MC's accomplishments aren't all that impressive, and people's reactions feel a bit annoying. Other general issues are common ones that I see in many LN/WN: frequent time skips (backwards and forwards, sometimes multiple per chapters), frequent change in setting/location with no warning, not much character personality or development, redundant or obvious information, not a lot of suspense or intrigue. Sometimes I just speed read over uninteresting sections. 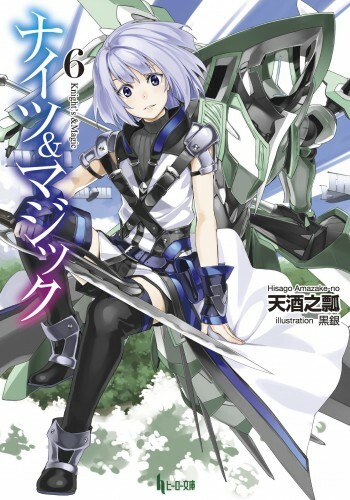 This is an interesting combination of magic and mecha in the reincarnation/fantasy genre. I really want to like it. I think the combined issues mentioned above would make a rating of 3.5 out of 5 on my scale. Somewhat more than 50/50 of readers may find something to like about this series. Others may lose interest during the slow chapters or from the storytelling style, especially if they're not into this fusion of genres. Some may be disappointed that there is no romance or harem, despite being tagged. My 2 personal complaints, I think many people wouldn't be bothered by them to the degree that I was. But if many people were, it might lower the rating to 3. This novel is about a Robot-lover programmer that died and reincarnated in a world where Robot and Magic coexist. And because Magic like programming, he strive to make Robot he likes. One think I can say about this novel is that the passion of the writer (and translator) was clearly felt. It has no remarkable twist, no drama, and no intrigue. But it makes this novel simple and likable. I really liked the novel at first. It was fun to read about all innovations MC made and the passion that drove everyone around him crazy. But the hype really died down a lot the more I read. By the end of volume 5 it got pretty boring honestly. The problem with this novel is that it is one-dimensional. It is all about robots, and nothing else. Basically every arc is a repetition of the same thing: MC makes some sort of new tech, then the problem arises and he... more>> solves it with the new tech. In between, we read how MC is researching new tech and learns new methods of manufacturing the new tech. It is funny at times, so I would say the genre for this should be: Action, Comedy, Mecha. That's it. MC is just too focused on his robots and does not have anything else. There are no relationship building in any way, friends or romantic ones. People are shown to have feelings for each other, but that is really the extent of it. Because MC is so flat, the novel becomes less interesting: it becomes just a repetition of what has happened before. There is no character development at all. There is only one guy in the novel who has some: the coward who ran away and then manned up. An interesting fantasy novel that weaves programing principles into an alternative world. The story is the basic Knight to Hero story, but written well enough to be pleasurable read. I would recommend this to fans of mechas and Knights. This is a pretty good light novel, it has a lot of familiar tropes but I think that it tinkers with the formula enough that the end result is unique enough and interesting to read. The problem is the translations, at chapter 28 the series was dropped by Skythewood and picked up by Bakadogeza and though I can certainly appreciate him taking the time to do translations it becomes so much more difficult to stay engaged with the series reading his posts. Here's a side by side comparison of the same... more>> statement from the two. The requirements were too amazing, even Ady who was listening by the side almost said: “What kind of requests are these?” Despite that, Eru was still smiling happily. It's a fun novel. It's part of a new generation of protagonist where the protagonist is horribly overpowered and just win. Like No Game No Life and other similar novels. What makes it interesting and not just bland is the interesting world, fun characters, and innovative problem solving. Also, the main character is fantastic. His skills are almost a Deux ex Machina. It's saved from the horrible crutches of Deux ex Machina in that the lead up to the resolution of the conflict is well paced and foreshadowed so it's not unbelievable... more>> to you, his friends, and those in the know. It's only Deux ex Machina like to the antagonists. It makes for a fun anticipation to see the over the top way he's going to resolve the current issue and the reactions when it happens. The dissonance in how he thinks vs how the world sees him is part of the humor. This is not a drama, the outcome was never in doubt. It's an adventure and drama is a punch in the face with the power of friendship (and mechs). Let's talk about the main character. He is really likable, he works extremely hard and the character is internally self-consistent (this means his goals, motivation, and actions through out the story are consistent and not driving to act in a certain way for plot reasons). He is also much more like Negi (A child genius) from Negima than he is from any of the typical reincarnated series. His reincarnation is not a major point. His hard work, dedication, and genius from a young age are. To help emphasize that he has 2 friends he meets at a young age who joins him on his adventure and following his life style. They learn from him and train with him and have similarly become pretty overpowered themselves. Although they lack the same drive and out of the box thinking. In addition, he was born in this world and has a family he cherishes. The reincarnation is only an odd thing that leaves him memories in addition to his own. He doesn't refer to himself as someone who is reincarnated only referring to himself as Eru, his current life. It makes it seem like it isn't that he was reincarnated that was special but it is his personality that is special. Such as even if he didn't have his past self's memory he would of eventually revolutionize the world anyway. It might just have taken a bit longer. There's a lot of narration explaining the fictional mech/magic system. Many times it's repetitive of the same system previously explain. The series goes really fast. Time skips are extremely often (developing a new mech isn't done in a span of a week after all) and for some reason, we get recaps of previous events as if the previous chapter actual was released months ago. This might be due to how it was released as a web novel. But reading it volume by volume it seems odd at how often you get a recap. It's not a romance or a harem. He's in love with his mechs. That's it. There aren't multiple girls contesting for his attention and you can hardly say what's in the series counts as romance. It's an adventure, there are friends, and some of them are female. That's about it. It's a very good novel. It's a story about a guy reincarnated in a world where mechs and magic exists. He retains his memory and uses his love of mechs (ie. Gundams) in the previous world to design and build real-life ones in the new world using his superior magic and knowledge. The thing I love about this LN is that it only really focus on mechs and their creation, and leaves out harem parts which so many other LNs tend to focus on. Also to those complaining about wish-fulfillment. It's a reincarnation... more>> story, by that it should be obvious that it's a wish-fulfillment story. 90% of novels on this site are like that. Come on, let's stop complaining about it as if that's not what we're really here for. Fifteen Seconds is doing WN so there may be some differences. Besides that, his translation is certainly not great but its understandable/salvageable which is honestly good enough for those with 'some tolerance for lower quality work'. I probably just made it sound worse than it is. It would be great if someone could help him with editing. I can't. I'm terrible. Loved the story. so good!